Mormon Transhumanist Association Humanitarian Managers Roger Hansen and Hank Pellissier were recently in Uganda, checking up on the multiple Association-funded projects that are operating there. Roger Hansen set up a Computer Training School in Masaka (southern Uganda) in the classroom of an LDS church building. The Computer Training School has ten Chromebooks, an Epson projector, a Samsung laptop, and a large projection screen. An Indiegogo campaign (https://www.indiegogo.com/projects/uganda-computer-training-school-in-masaka/x/342678) launched by the Association raised funds for the project, and additional equipment was donated by Association members. Roger’s son-in-law provided the wifi-installing expertise. Roger Hansen also set up a swing set in Kyarumba, in the Rwenzori foothills. The swing set equipment was paid for by an Indiegogo campaign (https://www.indiegogo.com/projects/swing-sets-for-uganda-rural-orphans-children/x/342678); the labor required in the installation was provided by Kyarumba residents; the welding was provided by Edward’s Welding Workshop. Roger is also installing additional swing sets in Uganda, aided by Association generosity. Edward’s Welding Workshop, plus two carpenter workshops - Kyarumba Anti-AIDS Youth Group Carpentry Workshop, and Alchangel’s Carpentry Workshop, were also visited in Kyarumba by Hank and Roger. Hank ran a GoFundMe campaign (http://www.gofundme.com/orphan-carpenters) that provided $1,078 in tools and equipment to the three groups. Roger also delivered a new lathe to the carpenters. Hank and Roger attended a 4-hour party in Kyarumba, that thanked the Association for its contributions to Kyarumba. The party included dancing, singing, numerous speeches and a huge feast with groundnuts, rice, goat meat, cabbage, and other local Bakonzo tribe recipes, served free to 120+ members of the community, and eaten delightfully with our bare hands, utensil-free. 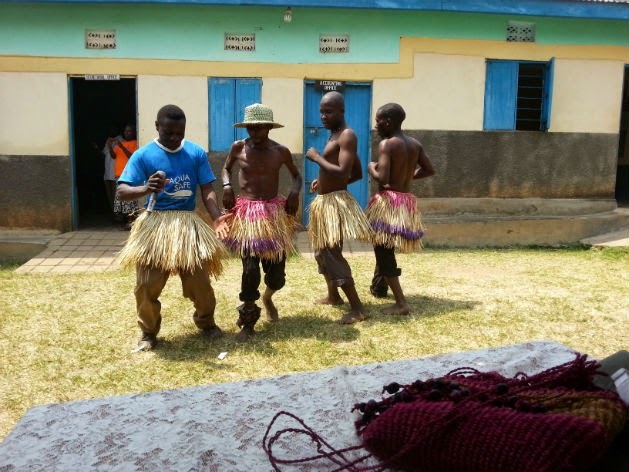 In nearby Nyakiyumbu, near the Congo border, Hank and Roger were guests at another party (preceded by a parade) that thanked Association members for participating in the Kikoy Dresses for Orphan Girls campaign (http://www.gofundme.com/orphangirls). 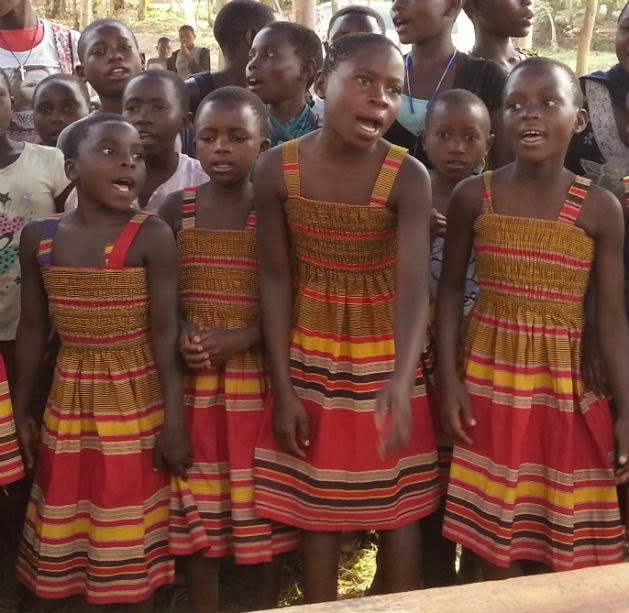 This event was 3 hours long, highlighted by dancing and singing orphan girls wearing the kikoy dresses. Hank and Roger also visited Kasese Humanist Primary School (KHPS), receiving thanks there for Association participation in the Kikoy Dress campaign (http://www.gofundme.com/orphangirls), that additionally benefited KHPS. Roger gave a wonderful Lego Robot gift to KHPS director Bwambale Robert Musugaho, who assured him it would be well-used in their science classes. Hank also visited six clinics that Brighter Brains Institute (BBI) established in the region; four in Kyarumba, one in Nyakiyumbu, one in Kasese. Four clinics were primarily funded by Hank’s family members - one via a GoFundMe campaign (http://www.gofundme.com/parasiticworms); the other two were funded by a GoFundMe campaign (http://www.gofundme.com/kavassstudentgenerated) by BBI Secretary Biba Kavass. The Association is considering establishment of its own clinic in the region in 2015; the clinics are staffed with medics, microscopes, and sufficient medicine to combat local ailments like Malaria, Bilharzia, and parasitic worms. Locations for an Association clinic are being considered in Kyarumba and in a fishing village called Kahendero, on the shores of Lake George. Due to time constraints, the COISER orphanage in Jinja that was largely funded by the Association in a GoFundMe campaign (http://www.gofundme.com/Eggs-For-Orphans---Uganda), was not visited at this time. We have learned, though, that the 200 chickens the Association helped purchase are now only 1 week away from laying eggs. Their egg-productivity will enable the orphans to eat nutritionally, plus it will provide them with much-needed income. Hank and Roger wish all Association members who donated to these campaigns could have been in Uganda with them, to witness the enormous gratitude that the Ugandans expressed. Many songs thanking our charity were written and performed specifically for us at the above-mentioned parties. The warmth and thankfulness expressed was truly overwhelming. Any Association members who want to travel to Uganda, to visit Association projects there, are hugely encouraged to do so. The Mormon Transhumanist Association Humanitarian Managers are planning additional charity drives in 2015 to help Ugandans, plus there might be a campaign to assist a northern India preschool. We will keep you informed and we thank you for your huge kindness in 2014.